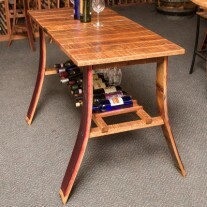 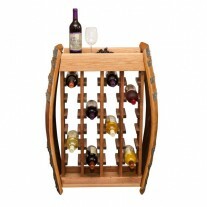 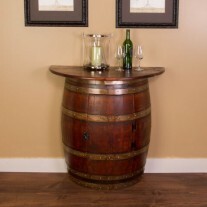 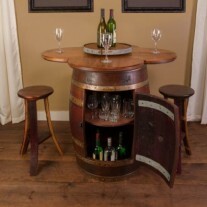 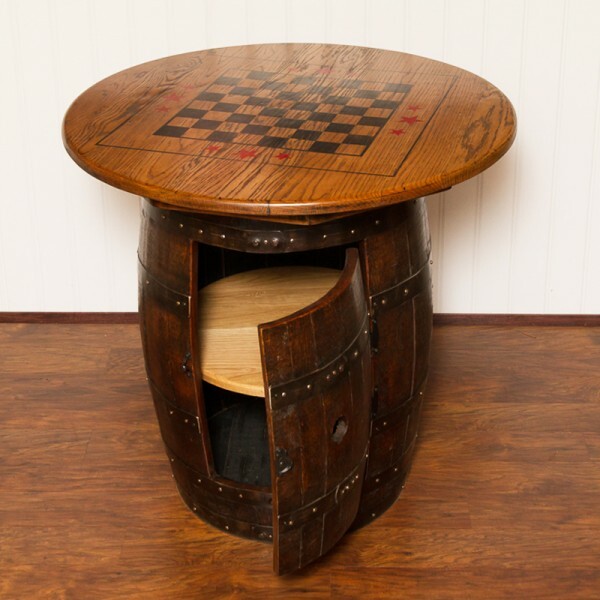 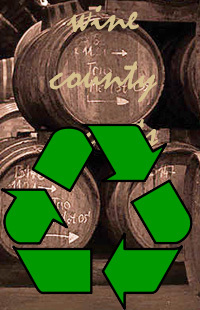 This one of a kind beauty is crafted from a retired barrel that is converted into a cabinet. 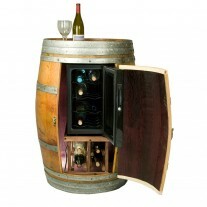 Cabinet is roomy and offers a great storage area with a hinged latching door. 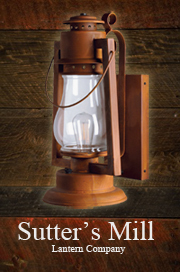 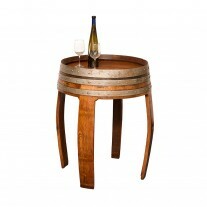 The table top is made from distressed reclaimed wood. 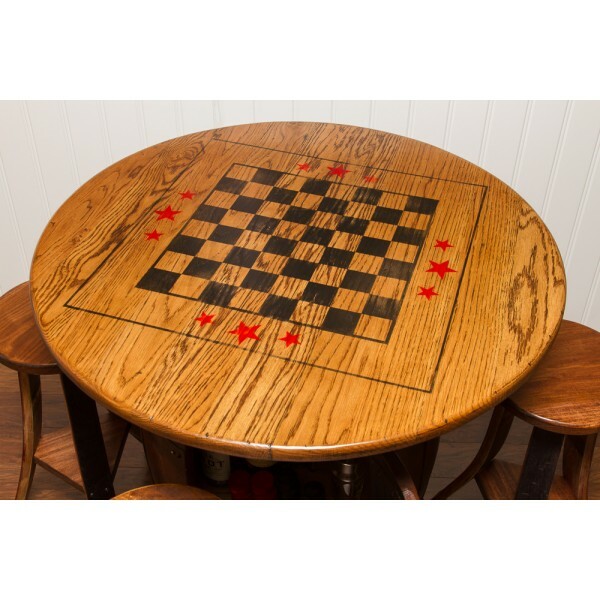 Beautiful hand painted top gives the appeal of an old antique game board. 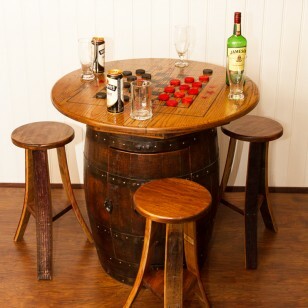 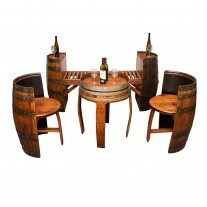 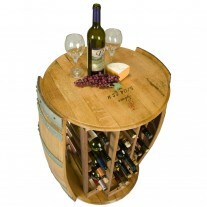 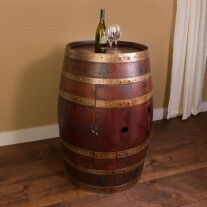 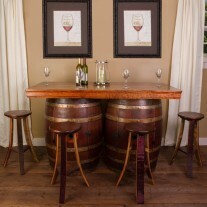 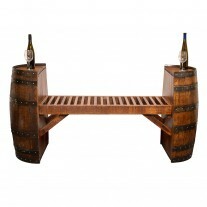 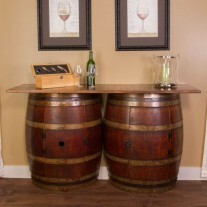 Set includes four wine barrel stools.